The broad objective of the research is to get an idea about the credit risk management system in Bangladesh. Moreover, this report tried to reveal the impact of credit risk management process on the institution’s financial performance. Other objectives are to review the existing credit risk management systems, tools and techniques use in banks and financial institutions and to identify the SWOT analysis and limitations of the existing credit risk management systems and tools. Here also describe the influencing factor for deteriorating the loans and find out ways and means to recover deteriorate loans & advances of the banks. To review the existing credit risk management systems, tools & techniques use in banks and financial institutions. To identify the weakness and limitations of the existing credit risk management systems and tools. To review the existing and probable core risk factor for the banks. To identify the existing and future credit risk of the bank. To find out a common standard credit risk management systems for the banks. To examine the influencing factor for deteriorating the loans. To find out ways and means to recover deteriorate loans & advances of the banks. Data has been collected from secondary sources. Reviewing the materials i.e. policy and guidelines regarding Credit Risk Management (CRM), visiting to the concern internet website was the methods of data collections. Credit Policy Manual of the Banks. Credit Instruction Manual of the Banks. Circulars, letters and memos issued by the Banks and regulatory organization i.e. Bangladesh Bank and Govt. Prudential Guidelines on Credit Risk Management issued by Bangladesh Bank. Annual report of city bank. Annual report of Bangladesh bank. Examine the Tools and the Systems. The City Bank Limited was incorporated as a public limited company in Bangladesh under Companies Act, 1913. It commenced its banking business from March 14, 1983 under the license issued by Bangladesh Bank. Presently the bank has 83 branches as at 31 December 2008. Out of the above 83 Branches, 01(one) bank is designated as Islamic Banking Branch complying with the rules of Islamic Shariah, the modus operandi of which is substantially different from other branches run on conventional basis. The bank is listed with Dhaka Stock Exchange Limited and Chittagong Stock Exchange Limited as a publicly traded company for its general class of shares. The City Bank Limited is a leading first generation private commercial Bank in Bangladesh. The bank is committed to provide high quality services to its constituents through different financial products and profitable utilization of fund and contribute to the growth of GDP of the country by financing trade and commerce, helping industrialization, boosting export, creating employment opportunities for the educated youth and encouraging micro-credit leading to poverty alleviation and improving the quality of life of the people and thereby contributing to the overall socio-economic development of the country. City Bank is one of the oldest private Commercial Banks operating in Bangladesh. It is a top bank among the oldest five Commercial Banks in the country which started their operations in 1983 as a public limited company in Bangladesh under Companies Act, 1913. It commenced its banking business from March 14, 1983 under the license issued by Bangladesh Bank. The Bank started its journey on 27th March 1983 through opening its first branch at B. B. Avenue Branch in the capital, Dhaka city. It was the visionary entrepreneurship of around 13 local businessmen who braved the immense uncertainties and risks with courage and zeal that made the establishment & forward march of the bank possible. Those sponsor directors commenced the journey with only Taka 3.4 crore worth of Capital, which now is a respectable Taka 330.77 crore as capital & reserve. ‘To be a leading bank in the country with best practices and highest social commitment’- this is the vision of CBL. To attain highest level of customer satisfaction through extension of services by dedicated and motivated team of professional. To maximize bank’s profits by ensuring its steady growth. Nurture an enabling environment where innovativeness and performance is rewarded. To be one of the top five Financial Institutions in Bangladesh in terms of market share in all significant market segments we serve. Cards- debit card, credit card etc. A comprehensive and accurate appraisal of the risk in every credit proposal of the Bank is mandatory. No proposal can be put on place before approving authority unless there has been a complete analysis. In order to safeguard Bank’s interest over the entire period of the advance, a comprehensive view of the capital, capacity, integrity of the borrower, adequacy, nature of security, compliance with all regulatory /legal formalities, condition of all documentation and finally a continuous and constant supervision on the account are called for. It is absolute responsibility of the Credit Risk Manager / RM to ensure that all the necessary documents are collected before the proposal is placed for approval. Where Loans/Advances/Credit facilities are granted against the guarantee of the third party, that guarantor must be subject to the same credit assessment as made for the principal borrower. A thorough Credit and Risk assessment shall be conducted for all types of credit proposals. The results of this assessment to be presented in the approved Credit Appraisal Form that originates from the Credit Risk Manager / Relationship Manager (RM) and is to be approved by the Credit Committee / Executive Committee of the Board of Directors / Board of Directors. The Credit Risk Manager / RM are the owner of the customer relationship and must be held responsible to ensure the accuracy of the entire credit application / proposal submitted for approval. The Credit Risk Manager / RMs must be familiar with Bank’s Lending Guidelines and should conduct due diligence on new borrowers, principals and guarantors in line with policy guidelines. The Credit Risk Managers / RM must know their customers and conduct due diligence on new borrowers, principals and guarantors to ensure such parties are in fact who they represent themselves to be i.e., Know Your Customer (KYC). The Banker – Customer relationship would be established first through opening of CD/ STD / SB accounts. Proper introduction, photographs of the account holders / signatories, passport, Trade License, Memorandum and Articles of the Company, certificate of incorporation, certificate of commencement of business, List of Directors, resolution, etc. i.e. all the required papers as per Bank’s policy and regulatory requirements are to be obtained at the time of opening of the account. A declaration regarding approximate transaction to the account is to be obtained during opening of account. Information – regarding business pattern, nature of business, volume of business, etc. to be ascertained. Any suspicious transaction must be timely addressed and brought down to the notice of Head Office / Bangladesh Bank as required and also appropriate corrective measures to be taken as per the direction of Bank Management / Bangladesh Bank. The majority shareholders, management teams and group or affiliate companies shall be assessed. Any issues regarding lack of management depth, complicated ownership structures or inter-group transactions shall be addressed, and risks to be mitigated. The product that is manufactured must be technologically viable i.e. whether the technology applied is updated. The product’s stage in its life cycle must be understood. Technical Aspects of the products must be addressed. The Credit Risk Manager / RM must be satisfied with the mitigating factors of technical and technological risk, associated with the products. An analysis of a minimum of 3 years historical financial statements of the borrower should be presented. Where reliance is placed on a corporate guarantor, guarantor’s financial statement should also be analyzed. The analysis should address the duality and sustainability of earnings, cash flow and the strength of the borrower’s balance sheet. Specifically, cash flow, leverage and profitability must be analyzed. In this regard the Credit Risk Manager / RM must look into the status of chartered accountant audit firm. Where term facilities (tenor > 1 year) are being proposed, a projection of the borrower’s future financial performance should be provided, indicating an analysis of the sufficiency of cash flow to service debt repayments. Loans shall not be granted if projected cash flow is insufficient to repay debts. In this regard the possibilities of cost overrun and sensibility analysis shall be done. For existing borrowers, the historic performance in meeting repayment obligations (trade payments, cheque, interest and principal payments, etc.) shall be assessed. In this regard the Credit Risk Manager / RM may look into the account turnover like debt summation / credit summation / highest debit balance/ highest credit balance (or lowest debit balance), no. of debit entries/ no. of credit entries for last three years (year-wise). The Credit Applications/ Appraisals must be prepared in line with Bank’s lending guidelines. It must be clearly stated whether or not the application/proposal is in compliance with Bank’s Credit Policy lending guidelines. The interest rate must be fixed based on different risk factors associated with the type of business such as liquidity risk, commodity risk, equity risk, and loan period risk. Interest rate also arises from the movements of interest rate in the market. In assessing the pricing and profitability, the Credit Risk Manager/RM must consider the income from ancillary business like foreign exchange business, group business, volume of business etc. The foreign exchange transaction is associated with foreign currency fluctuation risk. Therefore the Credit Risk Manager/RM must take care of for the Foreign exchange risk. This type of risk is generally involved in taking project finance decision. A high degree of cost overrun may cause the failure of the project. Therefore the Credit Risk Manager must consider the cost components of the project and their chance of devaluation. The Credit Risk Manager/RM must address to different risks associated with the proposal. The possible risk include but not limited to market risk, financial risk, foreign exchange risk, risk of cost overrun, margin sustainability and/or volatility, high debt load (leverage/gearing), overstocking or debtor issues, rapid growth, acquisition or expansion, new business line/product expansion: management changes or succession issues, customer or supplier concentrations, and lack of transparency or industry issues. Mitigating factors for risks identified in the credit assessment shall have to be described and understood. Loan shall not be granted solely on security consideration. Adequacy and the extent of the insurance coverage shall be assessed. The Credit Risk Manager/RM must look into the client’s interest / dependability on the collateral offered as security. Credit proposals shall not be unduly influenced by an over reliance on the sponsoring principal’s reputation, reported independent means, or their perceived willingness to inject funds into various business enterprises in case of need. These situations shall be discouraged and treated with great caution. Rather, credit proposals and the granting of loans will be based on sound fundamentals supported by a thorough financial and risk analysis. Having considered the significance of credit risk grading, it becomes imperative for the banking system to carefully develop a credit risk grading model which meets the objective outlined above. Any Demand Loan will be considered as Sub-standard if it remains unpaid for 6 months or beyond but not less than 9 months from the date of claim by the bank or from the date of forced creation of the loan; likewise the loan will be considered as ‘Doubtful’ and ‘Bad & Loss’ if remains unpaid for 9 months or beyond but less than 12 months and for 12 months and beyond respectively. Risk, that the bank might be exposed due to poor quality or strength of the security in case of default. This may entail strength of security & collateral, location of collateral and support. Credit Risk Grading should be completed by a Bank for all exposures (irrespective of amount) other than those covered under Consumer and Small Enterprises Financing Prudential Guidelines and also under The Short-Term Agricultural and Micro – Credit. d) Parameters/risk factors are assessed judiciously and objectively. The Relationship Manager as per Data Collection Checklist as shown in Appendix-A should collect required information. Relationship manager should ensure to correctly fill up the Limit Utilization Form as shown in Appendix-B in order to arrive at a realistic earning status for the borrower. Risk factors are to be evaluated and weighted very carefully, on the basis of most up-to-date and reliable data and complete objectivity must be ensured to assign the correct grading. Actual parameter should be inputted in the Credit Risk Grading Score Sheet as shown in Appendix–C. Credit risk grading exercise should be originated by Relationship Manager and should be an on-going and continuous process. Relationship Manager shall complete the Credit Risk Grading Score Sheet and shall arrive at a risk grading in consultation with a Senior Relationship Manager and document it as per Credit Risk Grading Form as shown in Appendix-D, which shall then be concurred by the Credit Risk Manager in consultation with a Senior Credit Risk Manager. d) Credit Risk Grading Form. The Credit Risk Managers then would pass the approved Credit Risk Grading Form to Credit Administration Department and Corporate Banking/Line of Business/Recovery Unit for updating their MIS/record. If these weaknesses are left uncorrected, they may result in deterioration of the repayment prospects in the Bank’s assets at some future date with a likely prospect of being downgraded to classified assets. Early identification, prompt reporting and proactive management of Early Warning Accounts are prime credit responsibilities of all Relationship Managers and must be undertaken on a continuous basis. Despite a prudent credit approval process, loans may still become troubled. Therefore, it is essential that early identification and prompt reporting of deteriorating credit signs be done to ensure swift action to protect the Bank’s interest. The symptoms of early warning signals as mentioned below are by no means exhaustive and hence, if there are other concerns, such as a breach of loan covenants or adverse market rumors that warrant additional caution, a Credit Risk Grading Form (Appendix-D) should be presented. Any loan is past due/overdue for 60 days and above. Frequent drop in security value or shortfall in drawing power exists. A significant petition or claim is lodged against the borrower. The Credit Risk Grading Form of accounts having Early Warning Signals should be completed by the Relationship Manager and sent to the approving authority in Credit Risk Management Department. The Credit Risk Grade should be updated as soon as possible and no delay should be there in referring Early Warning Signal accounts or any problem accounts to the Credit Risk Management Department for their early involvement and assistance in recovery. Head of Credit Risk Management may also downgrade/classify an account in the normal course of inspection of a Branch or during the periodic portfolio review. In such event, the Credit Risk Grading Form will then be filled up by Credit Risk Management Department and will be referred to Corporate Banking/Line of Business/Credit Administration Department/Recovery Unit for updating their MIS/records. If a Bank has its own well established risk grading system equivalent to the proposed credit risk grading or stricter, then they will have the option to continue with their own risk grading system. To ensure the credit discipline and to maintain the customer’s CIB data base henceforth the Management of City Bank has set up a centralized CIB Unit. The major function of CIB is to provide credit information to the Bank’s/Financial institutions to know the credit status of their prospective customers. This report helps the banker’s/lenders for credit appraisal, risk assessment and finally make the decisions for lending with a prudent manner. Under the existing laws the banks and financial institutions are not permitted to extend new credit facilities or renew existing credit facilities to defaulting borrowers. In order to enable the banks and financial institutions to ascertain the loan status of the borrowers/owners fully automated Credit Information Bureau was established in 1992 to collect all credit related information in respect of each borrower/owner. Credit Report of CIB is a significant risk measuring factor for credit risk management. By the CIB report Bank can understand about the loans and repayment behavior of a customer. Before approval of a loan physical visit of the project, it is very important to make lending decisions. Risk Managers and some time the third party agency has visit the project whether the project viable or not. It is an important credit risk management techniques. But the fact is Risk Manager’s are so busy with there desk work it is quite impossible for them to visit all the projects. They usually visit to the big projects. The customer who has no audited balance sheet examine the account transaction statements is very important for credit decisions. Upon turnover times risk managers have takes the lending decisions. Sometimes account transactions are not found timely and meticulously. So, credit decisions may vary. -Hypothecations of stocks in trade, Hypothecations of Machineries and equipments etc. Based on primary security the risk manager recommend for approval of loan. Collateral security is the secondary security components. Loan does not depend on collateral security; it does strengthen the loan security. Every organization is composed of some internal strengths and weaknesses, also has some external opportunities and threats in its whole life cycle. The following will briefly introduce the customers to the City Bank’s internal strengths and weaknesses, and external opportunities and threats as explored in the past few years. City Bank Ltd. Provides its customers excellent and consistent quality in every service. It is of priority that customer is totally satisfied. All the levels of the management of City Bank Limited are solely directed to maintain a culture for the improvement of the quality of the service and development of a corporate brand image in the market through organization wide team approach and open communication system. City Bank takes many effective strategies for the achievement of the organizations goals. The key-contributing factor behind the success of City Bank Ltd. Is its employees, who are highly trained and most competent in their own field. City Bank Ltd. Provides their employees training both in-house and outside job. City Banks has introduced centralized banking systems. Credit Risk assessment is done by the highly skilled Risk Managers of Head office. City Bank’s has introduced a strong Credit policy and Credit Instruction Manual for Credit Risk Management. Strategic Business Unit (SBU) is not properly well organized. Planning and decision making is still the concern of Head Office. Branch has a limited opportunity to access the power. 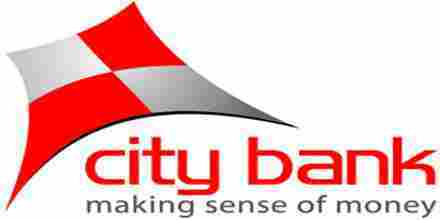 Less number of workforces: City Bank Ltd. Has limited human resources compared to its financial activities. There are not many people to perform most of the tasks. As a result many of the employees are burdened with extra workloads and work late hours without any overtime facilities. This might cause high employee turnover that will prove to be too costly to avoid. They can take any desperate initiatives to make well of the organization. Government of Bangladesh has rendered its full support to the banking sector for a sound financial status of the country, as it has become one of the vital sources of employment in the country now. Such government concern will facilitate and support the long-term vision of City Bank Ltd. Emergence of e-banking will open more scope for City Bank Ltd. To reach the clients not only in Bangladesh but also in the global banking arena. Although, the bank has already entered the world of e-banking yet it has to provide full electronic banking facilities to its customer. The worldwide trend of merging and acquisition in financial institutions is causing concentration. The industry and competitors are increasing in power in their respective areas. Inadequate Research and Development works and budget. As previously mentioned, the world is advancing e-technology very rapidly. Though City Bank Ltd. Has taken effort to join the stream of information technology; it is not possible to complete the mission due to the poor technological infrastructure of our country. Frequent devaluation of Taka and exchange rate fluctuations and particularly Southeast Asian currency crisis adversely affects the business globally. Due to high customer demand, more and more financial institutions are being introduced in country. There are already 52 banks of various types are operating in the country. Many banks are entering the market with new and lucrative products. The market for banking industry is now a buyer-dominated market. Unless City Bank Ltd. Can come up with attractive financial products in the market; it will have to face steep competition in the days to come. Global economic recession is a big threat for the business people of Bangladesh. Recession helps to reduce the profit margin of the business organization. Loan defalcation Culture is a major threat for the banks. Performance analysis explains an institution’s financial position that is depended upon various factors as like assets utilization, capitalization, loan disbursement, cash management etc. even managerial decisions like credit decisions derived from credit risk management. In this analysis section, performance analysis is executed to determine how credit risk management can affect an organization’s financial position. During the next year it was increased and it was 76.57% in 2008, which was 76.11% in 2009, 75.31% in 2009. At last in 2010 it faced a great fall and the percentage was 66.08 only. In 2006 it was 6.37%. During the next year it was decreased and it was 5.63% in 2007, which was 5.34% in 2008, 6.94% in 2009. At last in 2010 it faced a development and the percentage was 7.55%. In 2006 it was 2.85%. During the next year it was decreased and it was 1.52% in 2007, which was increased next year and the percentage was 1.75% in 2008. During the next year it faced a great fall it was 0.58% in 2009. At last in 2010 it faced a development and the percentage was 0.71%. In 2006 it was 1.70% only. During the next year it was increased and it was 34.34% in 2007, next year which was decreased and was12.67% in 2008, during the next year it faced a great fall it was 10.69% in 2009. At last in 2010 it faced a development and the percent age was 12.71%. Trend analysis is a forecasting technique that relies primarily on historical time series data to predict the future. For this research report the trends are discussed for the credit related factors like total loan disbursements, position of unclassified and classified loans amount etc. The above table representation indicates that the amount of total loans and advance of CBL in the year of 2006 to 2010 was respectively BDT 17027.84, 23326.34, 30789.002, 26788.47, and 34420 million taka . Over the five years from the year 2006 to 2010 almost all the years the amount of loans and advance has been increased except the year 2009. In this year their total amount of loans and advance had decreased from the previous three years. So overall it can be said that there is an increasing trend or upward trend over the last five years in the total loan facility provided by the CBL. Table-8: Unclassified loans of CBL for 5 years. In the above table , we can see that The City Bank’s unclassified loan and advance is increasing. If we take a close look then we can find that there is an upward trend in the unclassified loans and advance, it is good sign for them, and the City banks unclassified loan in 2010 stood 32251.14 million which is higher than the previous 4 years. This indicates that the City bank follows a good credit policy and they are careful to give any low quality loan. Table 9: Standard including staff loans & advances of CBL for 5 years. Over the last five years there is an increasing trend in the City Bank’s standard Loans and advances condition. This is really a good condition for a bank. Though it is decreased in the year of 2009 but because of their good credit management system they could recover it in the next year 2010. Table 10: SMA Loans & Advances of CBL for 5 years. The City Bank provides various types of credit facility. Special Mention Account (SMA) is one of them. From 2006 to 2009 the number of SMA loans increases but in 2010 it is decreases because of some political and other factor but still up to 2010 there is an increasing trend in the City Bank’s SMA loans and advances. Table 11: NPL (Classified Loans) over 5 years of CBL. CBL’s NPL (Non-performing Loan) has decreased over the last five years. From the above graph we can see that there is a decreasing or downward trend in the amount of City Bank’s NPLs. In 2010 their NPLs was 1169.81, which is much lower than the previous years. That means the City Bank performed successfully their lending operation over the last couple of years. Table 12: Doubtful Loans & Advances of CBL over 5 years. Over the last five years the CBL’s Doubtful loans and advance is increased. This is a signal for the bank to take immediate action about these loans and advance. Otherwise they will not survive in this competitive banking world. Table 13: Bad/Loss Loans & Advances of CBL over 5 years. The above table indicates that there is a downward trend in the amount of CBL’s bad/ loss Loans among the last five years. Among the years they reduced their Bad/Loan from1933.33 to 421.29, which is a good sign for the bank’s reputation. This indicates that their risk management technique is very good. Table 14: Provision against Loans & advances of CBL over 5 years. The City Bank limited has made provision for loans and advance on the basis of period-ended reviewed by the management on the basis of instruction of the Bangladesh Bank. But though the above graph tells that their provision against loans and advances has increased during the last five years; increasing the amount of provision is not a good for a bank. It indicates the lack of recovery policy of the CBL. Table 15: Provision against classified & unclassified Loans & Advances of CBL over 5 years. From the above line table we can see there are an upward trend in the provision of unclassified loans and advance of the CBL and a downward trend in the provision of classified loan among the last five years. That means in the last five years they emphasized more on classified loans and advances and deemphasized on unclassified loans and advances. As a result they succeeded in monitoring the NPLs but failed to maintain the unclassified loans. Table 16: Classified Loan to Total Loan over 5 years in CBL. According to above table, NPL to Total Loans & Advances is decreasing as the trend is downward. So, it can be said CBL is improving its NPL ratios over the years mainly from the year of 2008. It means CBL is moving towards its NPL target. Table 17: Bad Loan to Total Loans & Advances over 5 years in CBL. The above table shows a downward trend for the Bad loans (%) to total loans & advances. Though in the year 2007 it started decline upto 4.6% in year 2008 and again incresed at 6% in year 2010 and started decline afterwards. It means, CBL are trying to improve the efficiency of credit risk decisions that reducing the tendency of occuring bad loans. City bank has introduced a credit policy and credit instruction manual which encompasses all credit risk components as well as mitigate factor of the probable risks. Risk managers have strictly follows the credit policy accordingly to on lending. But the Management and the board of the Bank have the authority for exceptional credit approval. At the time of risk assessment the risk managers are used to obtain an integrated CRG for all Corporate and Small & Medium (SME) customer. Training of the risk managers is extremely essential for better risk management. Most of the banks have not any regular training program. Lack of proper training on Credit Risk Management risk managers often does the mistakes on credit risk management. Banks has a few number of tools and techniques for credit risk assessment i.e. CRG, FSS, CIB which are not sufficient for all kinds of risk management. The Banks in Bangladesh has faces a lot of illegal pressure from Political persons, Directors and Management of the Bank for approval of loan. in that cases Risk managers are bound to approve the loan without any assessment and rationality. City Bank has maintains a few co-ordinations with the related divisions and departments. Lack of co-ordination caused a lot of suffer of the risk managers as well as the customers. Risk Managers often could not found all necessary documents and information for credit risk assessment. That’s why risk managers use their assumption on risk management. Data collection checklists are not duly filled by the Relationship Managers. Most of the borrower has not audited financials. They provide financial statements which does not follow the rules of accounting. On the other hand credit proposal has not provided a financial summary. Risk Managers has to go through the financial statements for pick up the necessary ratio. So it is very time consuming. Customers have offered limited collateral securities against credit facility. So there is a significant risk for loan defalcation. Bank may lose in case of defalcation. An insurance coverage should obtain for both funded and non funded credit facility. But reality is very few borrowers confirm their insurance coverage. So Banks has no security in case of any uncertainty like fire, strike, riot etc. Due to centralization of banking systems City Bank has maintain a very week relationship with the valued customer. The customers are very much dissatisfied with this worst situation. Credit quality depends on close follow-up and monitoring of loans. The follow-up and monitoring of loans is not strong here. As a result Special Mention Accounts and deteriorating credit are increasing day by day. The Credit Policy of the Bank is very complicated. It should be easy understandable and user friendly. So that all the credit concerns can understand the instruction and follow it meticulously at the time of credit risks management. An industry wise integrated Credit Risk Grading system should be developed. So that risk can measure for different industry of business. Sufficient risk managers should recruit in Credit Risk Management Division and a standard time should allocate for a credit proposal analysis. So that, risk managers could go through the credit proposal for risk managers and have sufficient time for better analysis and assessment. Banks has a few numbers of tools and techniques for credit risk assessment i.e. CRG, FSS, CIB which are not sufficient for all kinds of risk management. So, new and effective credit risk management tools and techniques should be introduced by the help of IT Division. It is unavoidable of Political pressure & influence of the Directors and Management. Consequently some techniques should introduce so that those pressure and influence will be reduced. An analysis of a minimum of 3 years historical financial statements of the borrower should be presented. Where reliance is placed on a corporate guarantor, guarantor’s financial statement should also be analyzed. The analysis should address the duality and sustainability of earnings, cash flow and the strength of the borrower’s balance sheet. Specifically, cash flow, leverage and profitability must be analyzed. In this regard the Credit Risk Manager / RM must look into the status of chartered accountant audit firm. Financial ratios and important financial figures should be provided as summarize format. So that risk managers could analyze the financials in an easy way. The key risk factors of the borrower’s industry shall be assessed. Any issues regarding the borrower’s position in the industry, overall industry concerns or competitive forces (demand supply gap) shall be addressed and the strengths and weaknesses (SWOT Analysis) of the borrower relative to its competition to be identified. For the above purpose the Credit Risk Managers/RM may obtain / collect data from the statistical year book / economic trends of Bangladesh Bank / public report / newspaper/ journals etc. In Bangladesh 48 scheduled banks has been operating their services. According the annual report of Bangladesh Bank-2007 total loans and advances of those banks is BTD.147600.06 crore, among the total loans and advances BDT.23040.52 crore is the classified/ non-performing loans. The ratio of default/non-performing loans has come into 13.21% which is an alarming situation for the whole economy. Bangladesh Bank has introduce a good numbers of circulars, guidelines, tools and techniques for managing the credit risk in a prudent manner as well as to minimize the rate of default/ non-performing loans at a standard level. Banks have also some internal policy, guidelines, tools and techniques for better risk management. Despite a prudent credit approval process, loans may still become troubled. The success of credit risk management has resulted from dedication, commitment, dynamic leadership, effective strategy, planning and decision making, motivating and controlling of bank’s management. In formulating a credit judgment and making quality Credit Decisions, the lending officer must be equipped with all information needed to evaluate a borrower’s character, management competence, capacity, ability to provide collaterals and external conditions which may affect his ability in meeting financial obligations. So, it is obvious that prudent management of these risks is fundamental to the sustainability of a bank. The research paper encompasses with the existing credit risk management systems, tools and techniques and methodology of the Banks in Bangladesh. In this internship research report an effort has taken to identify the problems and limitations of credit risk management systems as well as find out the causes of loan defalcation tendency of Bangladesh. Eventually, researcher figured out a sort of findings and recommendation for improvement of credit risk management systems so that banks may attain a common standards for credit risk management as a result classified/ non-performing loans in banking sector may diminish.